The Best Wetsuit For Surfing is not the easiest thing to find. 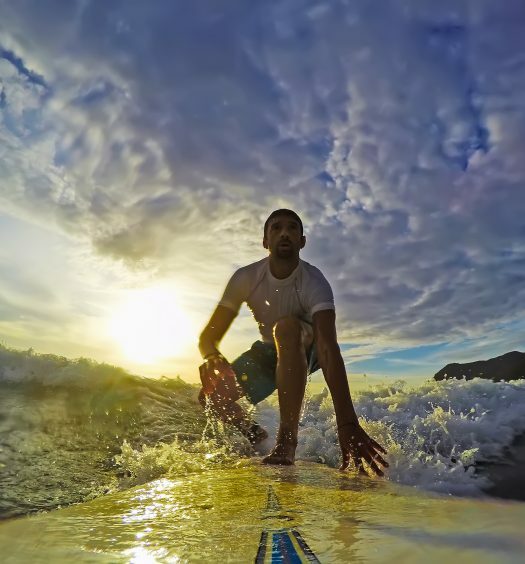 Lucky for you we have tested the best surfing wetsuits on the market. Ready to see our top picks? Scroll down. And there isn’t just one type of wetsuit. Different thicknesses are needed for different seasons. And suits just aren’t simply sold by one measure of thickness. Instead, wetsuit thickness is shown by two numbers, separated by a slash. The first number is the thickness in millimetres of the suit around the torso area and the second number is the thickness of the arms and legs. So for example, a suit with a thickness of 7/6mm has a thickness of 7mm around the torso and the extremities have a thickness of 6mm. The thicker the wetsuit, the less your range of motion is going to be and the stiffer you are going to feel. All things to consider. Contrary to what some newbies might think, the point of wetsuits is not to keep water out, but to trap a thin layer of water between the skin and the interior of the wetsuit, that your body can then heat up. This layer of water prevents you from losing too much heat, too quickly while in the water. 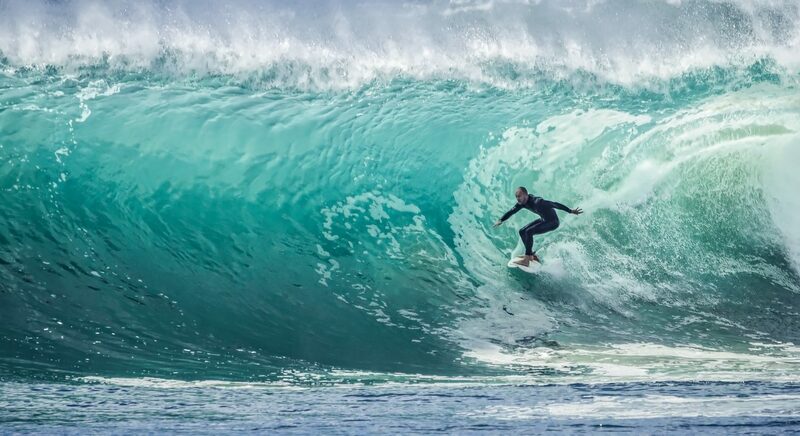 According to surfing aficionado brand Body Glove, seam construction is therefore a huge factor to consider when choosing a wetsuit. They explain that since all wetsuits will have some seepage of water, how well the seams are constructed, determines how quickly the suit will seep water. 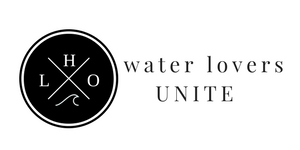 As Body Glove explains overlock stitching, where the seams are stitched on the inside, is recommended for water 65F and above. Flatstitch or flatlock stitching is also for warmer water, about 62F and above. These seems are visible from the outside and look like railroad tracks. And finally, blindstitch, which is recommended for colder water because the seams are glued and stitched, meaning cold water seepage is at a minimum. Offering even more protection, blindstitched with seam taping is recommended for water 50F and below. One really has to look into where they are going to be surfing, and what the water temperatures are going to be during this time. Do you want a full length suit? Do you want a wetsuit with a hood? There are so many options. 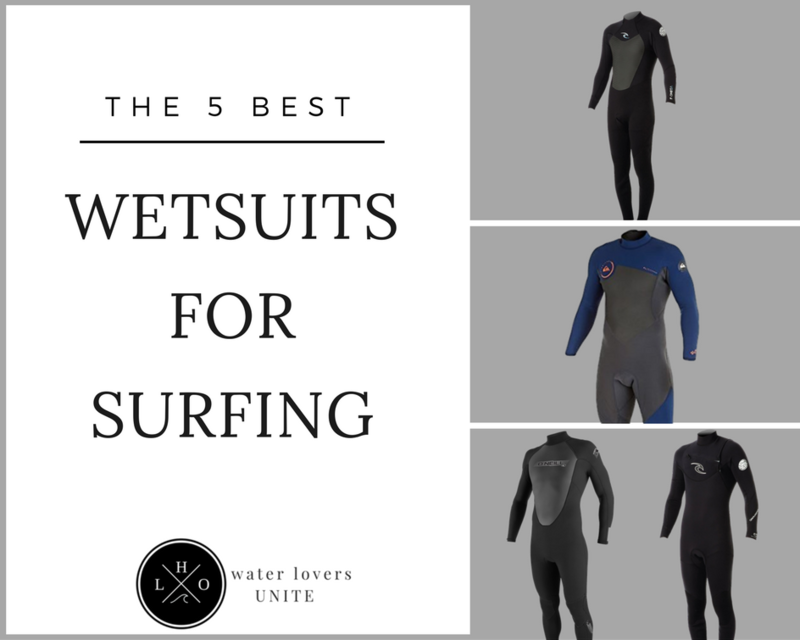 I went on a mission to find overall Top 5 Best Wetsuits for Surfing. I decided to look at a wide range of styles and thicknesses so that I could bring the best of each type. Durability: Wetsuits take a major beating and high quality construction is key. The best wetsuit should stand up to major use and have great seam construction with solid stitching. Material: Material should be a high quality neoprene or other high quality material. There are new natural materials out there on the market and that’s cool but they have to be highly rated. Seal: Good seal around the neck is key as this is an area that can let in a lot of water if the seal is not good. It should be a tight seal without feeling restrictive and uncomfortable. Flexibility: The wetsuit should offer a good range of motion and be comfortable to wear. Fit: Good fit is very important in a wet suit. I am looking for wetsuits that come in a wide range of sizes, with an accurate size chart. I’d like to ideally see lots of great reviews that talk about how well it fits and how true to size it is. No one wants a bulky ill-fitting wetsuit when they are out on the water or one too tight they can’t even move. Anyone even remotely familiar with surfing knows the O’Neill name and there is good reason for that. O’Neill began in California way back in 1952 by Jack O’Neill, the man actually credited for inventing the wetsuit. Decades of experience have been poured into creating the best wetsuits that have been tried and tested by surfers, for surfers. The O’Neill Wetsuits Mens 3/2mm Reactor Full Suit is a fine example of how great an O’Neill wetsuit can be and the reviews prove it. Flatlock stitched, and 3/2 mm thick, this suit is recommended for temperatures of 65F or above, although many customers have worn it down into the 50’s and were still feeling good so use your judgement.Very comfortable and flexible due to trademarked FluidFlex and Fluid Foam materials. It has a Single Super Seal Collar with a fully adjustable seal meaning no water is rushing in down your neck. The Reactor also comes with Krypto Knee Padz making kneeling on your board for extended periods of time, no problem. Another way O’Neill takes care of your comfort is by making the “paddlezone” areas of the suit seamless, meaning there is no chafing or rubbing when you paddle. What’s also great about this suit is the extensive range of sizes. 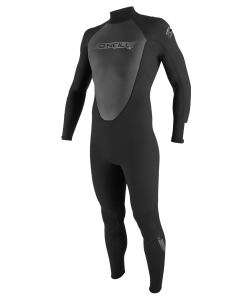 The O’Neill Wetsuits Mens 3/2mm Reactor Full Suit comes in 14 different sizes including short and tall versions. Their handy size guide means you will be sure to get a suit that fits you best. Well-constructed with a back zipper and even a hidden key pocket, this suit is sure to last you years of winter surf. There’s a reason why this suit is the number 1 best seller. Another very well-known name brand in the surfing world, Rip Curl brings the ruckus with their own version of the 3/2 Full Wetsuit. The Rip Curl Omega Back Zip 3/2 FL Wetsuit features the same flatlock stitch as the O’Neill version above and lightweight Freeflex and Ultralight Neoprene material throughout. Reviews show that customers have worn this suit comfortably all the way down to temperatures of 45F which is great for a suit of this thickness. The Velcro neck seal and the well-built flatlock stitching keeps water out effectively. This suit has an accurate sizing chart and 8 different sizes to choose from as well as a choice of black on black or blue on black. Amazingly priced for such a high quality wetsuit, the only thing this suit is missing is that handy hidden key pocket. 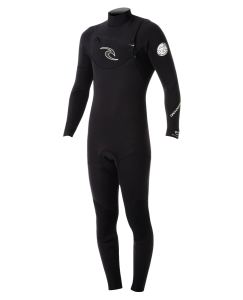 Wanting to also mention a top contender in a thicker suit, the Rip Curl Dawn Patrol Chest Zip 4/3 GB Wetsuit is a sure thing. It’s a bit higher priced than the other suits because simply put, it has more material and a lot more features to make sure the cold water stays out and you stay warm! For one, the seams are blind stitched and triple glued as well as internally fortified with E4 seam sealing tape. The back panel of the suit is lined with Flash Lining to ramp up your core heat and keep it in the suit. And the suit comes with a small chest zipper instead of back zipper to make sure you can get in and out of it fast in cold conditions. This does make it a bit trickier to get in and out of than suits with a back zipper, but makes for minimum seams and leak areas. 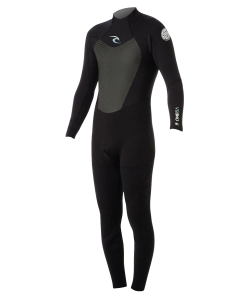 S-Flex knee pads and a built in pocket make this wetsuit an excellent cold water choice, and some say with boots, hood and gloves, this thickness is good enough for all year round surfing. And despite the thickness, this suit remains as lightweight as other thinner wetsuits and just as flexible. A great buy, this suit stands up to years of use and abuse. And in case you didn’t know, Rip Curl offers a 3-year warranty on stitching and a 12-month warranty on materials for all of their wetsuits. So you really can’t go wrong with their suits. And now for something completely different. The Seavenger 3mm Tropical Shorty offers 3mm protection in a short style for warmer conditions. Made with a super flexible Nylon II material, the Seavenger 3mm suit features flatlock stitching and extra stretchy armpit panels for great mobility in the water. Back zipper and Velcro enclosure around the neck, this suit comes in a huge range of men’s and women’s sizes and an accurate sizing chart on their website. There is even Velcro around the arms which is a nice feature. The zipper comes with a nice long leash so you can undo it yourself without too much trouble. Perhaps what is most shocking about this wetsuit is the price. Priced well below similar suits, you really can’t lose with this one. Excellent customer service helps you get any questions answered before you purchase, so what are you waiting for? Not to be outdone, Quicksilver comes in with their nice line of 3/2mm wetsuits. The Quicksilver Syncro Wetsuit is great competition for the other 3/2mm suits at a nice price. Built with Flatlock stitching this suit is made with FN Lite Neoprene and Thermal Smoothie Neoprene offering maximum warmth and flexibility at this thickness. 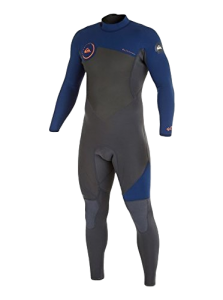 FN Lite Neoprene has built in air cells throughout making a lightweight semi buoyant suit. The Glideskin Neck Seal with adjustable Hydrowrap Neck Closure means zero leaks and the same knee pads means that this suit comes with all the bells and whistles that a surfer needs to be completely comfortable and warm at 59F+. Back zip with long leash this suit is easy to get in and out of with two color options. As one reviewer says, get yourself looking like a superhero and grab this suit!